Jill Dombrauckas currently writes for a biotech company in San Diego. Her work is published in scientific journals such as Biochemistry and medical websites such as Genetic Engineering News and Medical News Today. She received her bachelor's degree from the University of Dayton and Ph.D. in medicinal chemistry from the University of Illinois at Chicago. Alcohol can be made by fermenting a variety of ingredients and has uses that include fuels and disinfectants. Probably the most popular use of alcohol, however, is consumption for its depressant and inhibition-reducing effects on the brain and body. 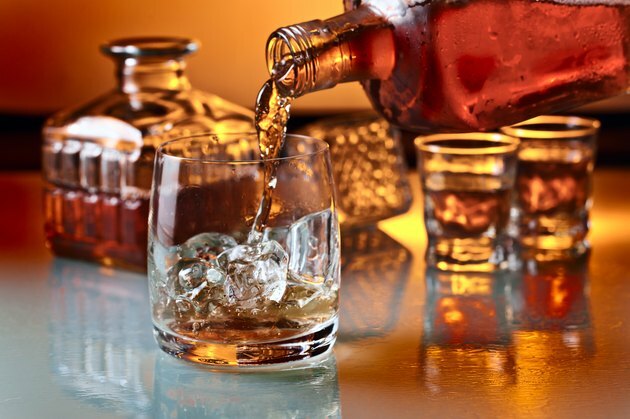 A negative side effect of drinking alcohol is the deterioration of motor skills directly through loss of muscle control, as well as indirectly through the deterioration of other capacities and senses. The Pennsylvania DUI Association hosts a large amount of information on alcohol’s effect on body systems. One fact presented is that alcohol acts as a depressant on the central nervous system. This means that messages carried to and from the brain and the body’s muscles and nerves can be slowed or improperly transmitted. Incoming signals from the brain, like the sense of pain, are dulled, decreasing awareness of injury. Signals from the brain to the muscles are equally deteriorated, resulting in a direct loss of precision motor skills, which becomes increasingly severe with higher concentrations of alcohol in the blood. With the increased processing time and decreased accuracy of information transmitted throughout the central nervous system, tasks that require both the intake of information and muscular response to them must deal with a compounded negative effect. The loss of coordination and reaction time caused by alcohol consumption results in hundreds of thousands of alcohol-related injuries and deaths each year. The National Institute of Alcohol Abuse and Alcoholism provides information to college-age individuals and their families to help avoid some of the problems that sometimes arise when a young adult’s new-found freedom leads to excessive drinking. Another effect of alcohol that may decrease an individual’s effective motor control when drinking is that of impaired vision. According to the Pennsylvania DUI Association, alcohol degrades vision in several ways, including a narrowed field of vision, increased susceptibility to glare, and decreased ability to differentiate colors. The inability to see clearly what is going on in their surroundings is likely to lead individuals to make errors in exercising their motor control. The negative effects of alcohol on motor skills can be compounded with other contributing elements. The combined effect of alcohol with other factors, such as drugs or fatigue, can be greater than either factor would be on its own. The State of Tennessee tries to promote boater safety by providing data that shows how fatigue associated with boating in the sun for a day can triple the effects of alcohol on an individual's system, greatly increasing the loss of motor controls and leading to accident and injury.